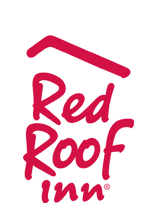 Detroit area Red Roofs are now offering $10 Thanksgiving Day rate for anyone needing affordable accomodations while visiting family and friends. Stay at a Detroit area Red Roof November 25th or November 27th at a regular rate and Thanksgiving Day rate is just $10! One of the rates I check was for just $55 + $10 second night, your average nightly stay would only be $33/night!